Another recent one, above. I went out that morning because there was a heavy frost/light snow with fall leaves still up. I was looking for a certain kind of image, with the potential everywhere I looked — but I don’t think I managed to realize it in a good composition. This was near a little stream, not particularly the drama I was looking for in the open spaces. The field in the background is indeed covered with frost, and these leaves were indeed red with light shining through. Somehow this black and white version is the best photo though. Also the images I exposed just after this were also good, along the stream. You just never know. You look for one thing, but you find another. 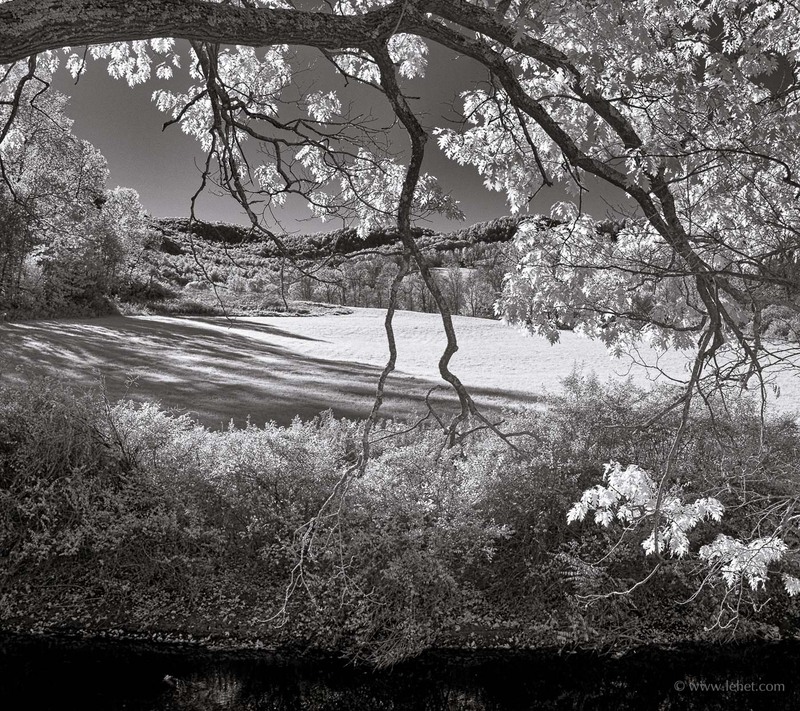 And this one above, also of light coming through trees, I’ve been meaning to put up on the site for a few months now, since exposing it last spring. I was driving past this wall and just glimpsed the wall and the light coming through the trees, late light, and I turned around and circled back to it. 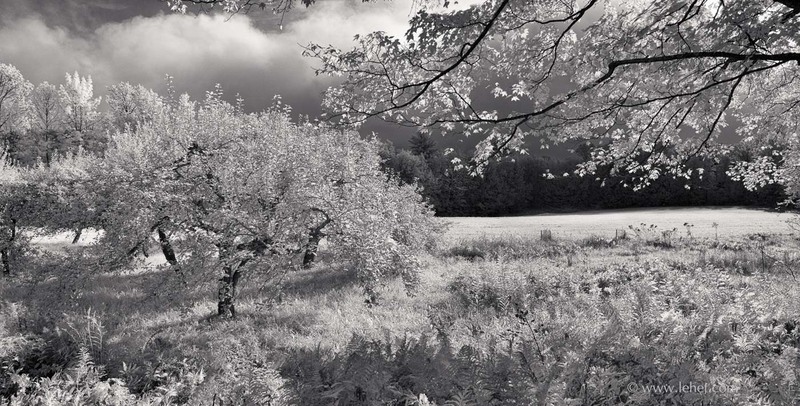 This entry was posted in Autumn, black and white, Infrared, New England, Spring on November 20, 2015 by john lehet.